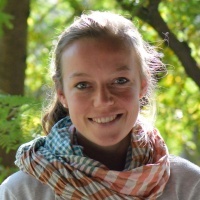 Lena was a PhD student in the Interface Group from October 2014 to July 2018. She joined the group after graduating from ETH Zurich with a master’s degree in mechanical engineering. During her studies, she received a scholarship of the German National Academic Foundation (“Studienstiftung des Deutschen Volkes”) and was accepted to the Femtec program, which supports talented female engineering students. She conducted research projects at Oxford and Harvard University, which were focused on biomedical engineering and biomechanics. Her master thesis with Prof. Ralph Müller (ETHZ) was about multiscale modeling of bone failure prediction, combining finite element analyses at different scales. In general, her interest lies in the application of engineering solutions to solve current challenges in medicine. The goal of her research at the Interface group was the development of a novel model for blood damage in ventricular assist devices, which are artificial hearts that can support or substitute the patient’s heart function. This includes computational modeling of both the blood flow and the deformation of cells, as well as in-vitro experiments on human erythrocytes. Her research project was part of the Zurich Heart Project, a joint program of the University, ETH and University Hospital Zurich.